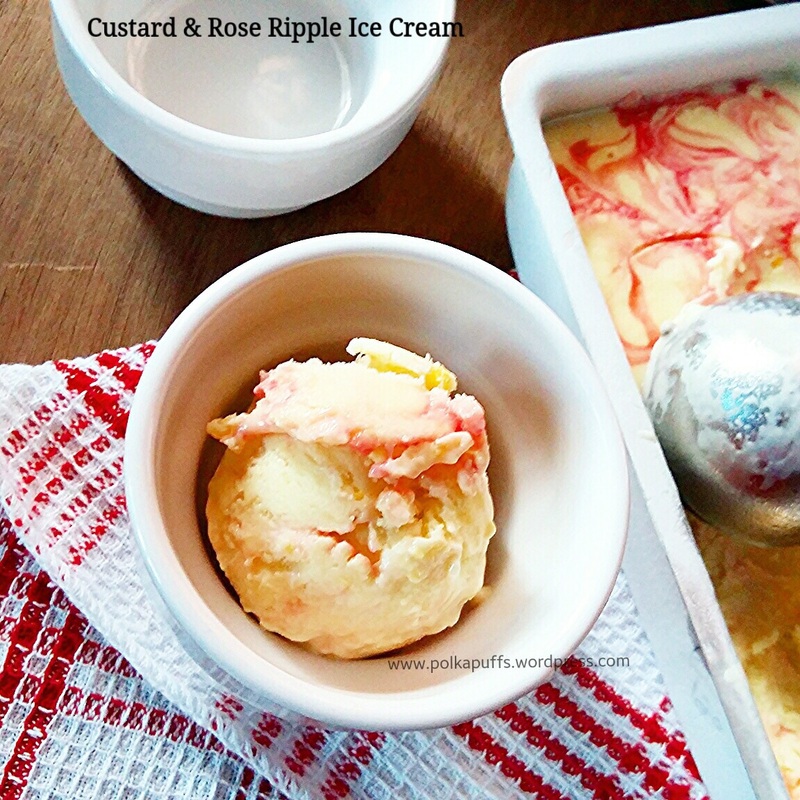 So this time…I choose to combine two very different yet complimenting flavours! 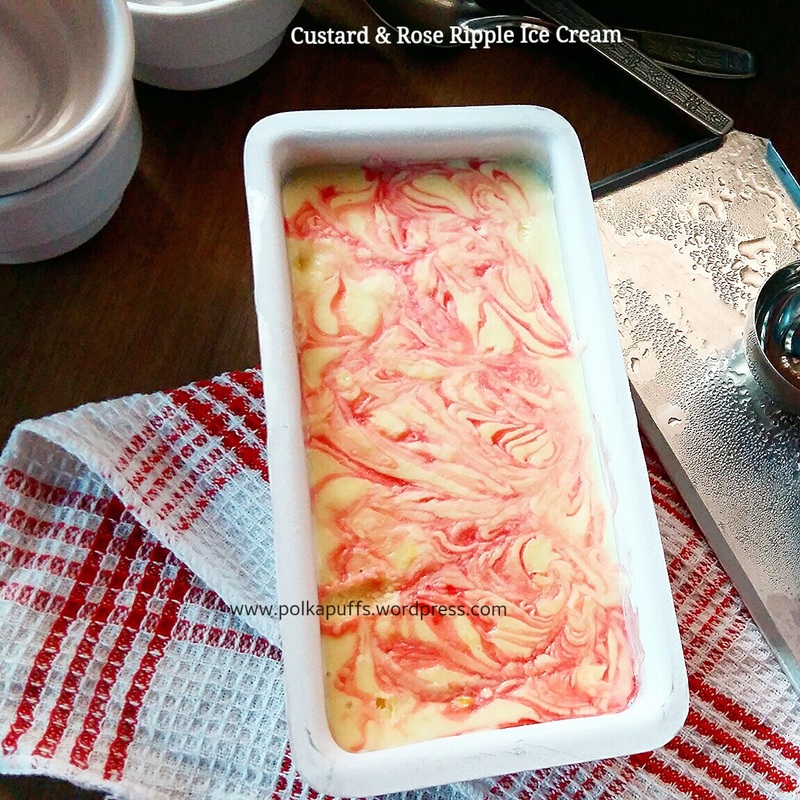 Custard because it’s one of my hubby’s favourite desserts & Rose…simply because I wanted it to look pretty and to taste exotic😋 …and trust me..it was a great combination! 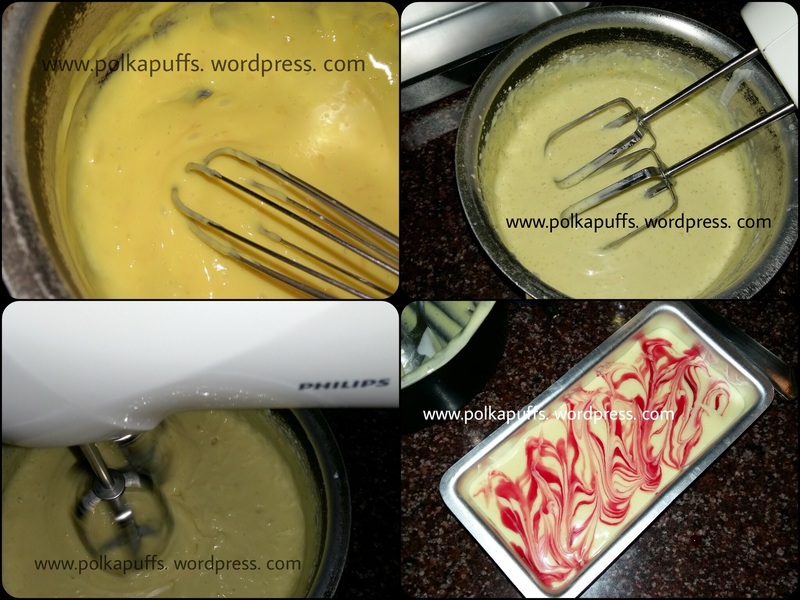 I was a bit worried that hubby may not like the flavours…but he loved it…and found it pretty too 😄…kept asking me how I did the Ripples… 👏😇 anyways…lets get on with the recipe now..
Equipment: a non stick pan, a whisk/ electric whisk, measuring cups/ spoons, a ladle, an airtight/ aluminium container to set the ice cream, a large mixing bowl, a sharp knife for creating the rippling effect. Heat the pan over low heat, add the milk and custard powder, keep whisking as it cooks on low heat and make a smooth and thick custard (the custard should coat the back of a spoon). It took me about 5 mins to make the custard. Cool this custard in the refrigerator. Once cooled in about 10 mins, pour the custard in the mixing bowl, add chilled cream, vanilla essence & the sugar to the custard. Then whisk well for 7-10mins to mix everything well (I used an electric whisk hence took just 4-5 mins to mix these well). We do not need stiff peaks, just whisk to add some air into the mixture. 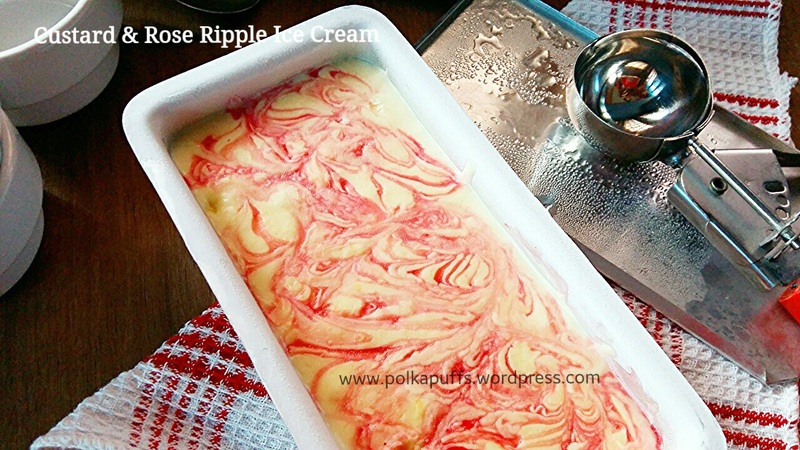 Now, put the ice cream mixture in the airtight/ aluminium container, pour the rose syrup on the ice cream mixture & using the tip of a sharp knife make ripples as shown in the picture above. That’s it! Cover the container and put in the freezer to set it for overnight or at least 7-8 hours. Thaw the ice cream at room temperature for a few mins before scooping!! 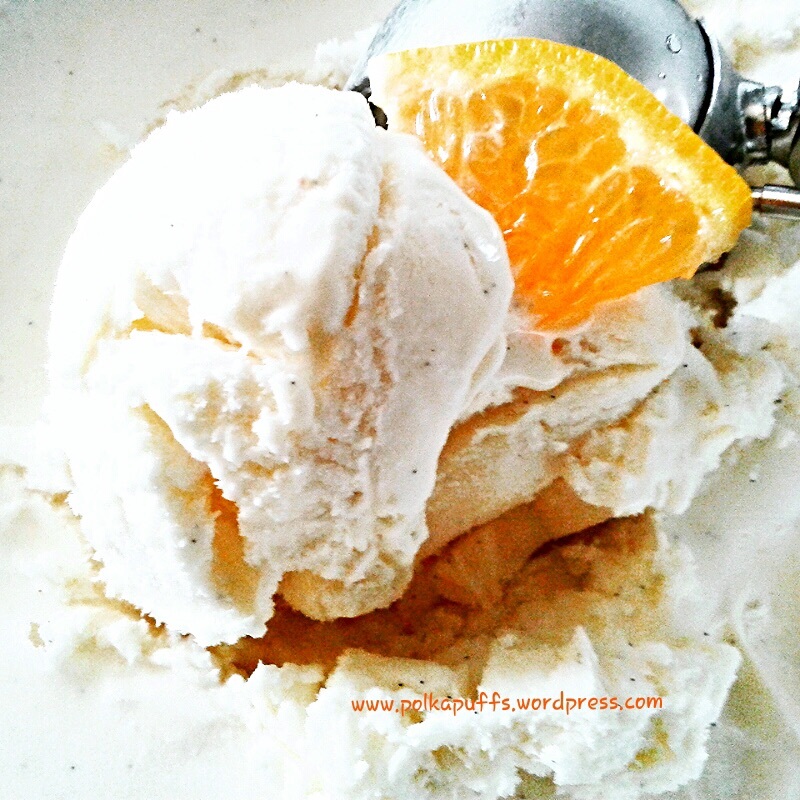 No Churn Orange Ice Cream! I just want to sit in my room, with the blinds all drawn and something cool to sip/ eat..whatever! A couple of weeks ago when the temperatures had began soaring I cooled myself off with my Minty Pomegranate Mock Mojitos 🍹😋 They were so refreshing! Well, I did need something to cool myself & Mr. P.P. off again..but something a bit more filling 😛 Didn’t want to do a drink yet again. So thought of Icccccccceeeee Creeeeammmm!!! LoL! 🍦🍦okay! 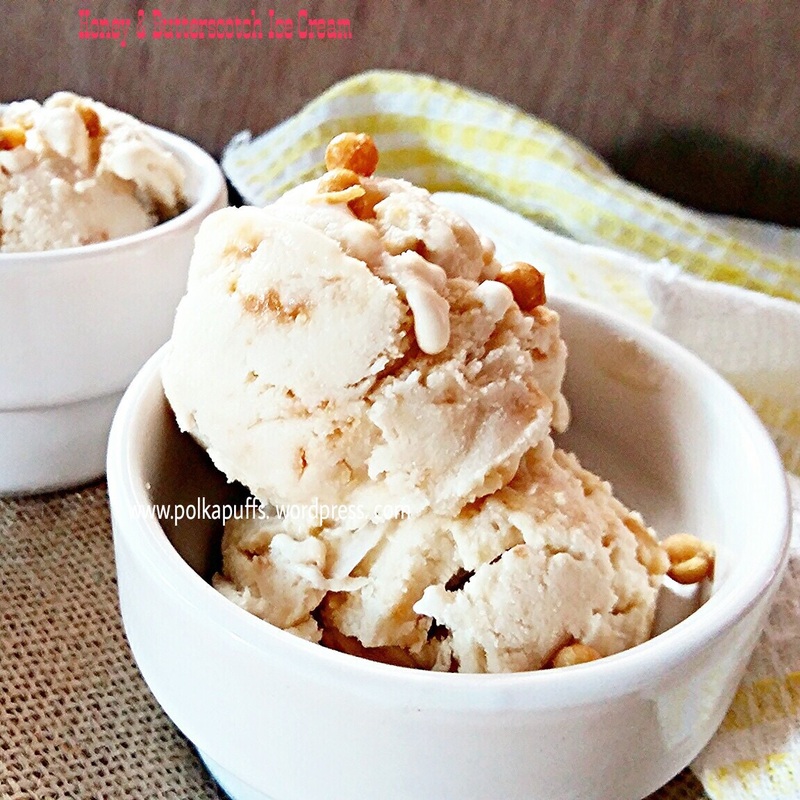 So who doesn’t perk up at the thought of a bowlful of rich, creamy, cooling ice cream?! I simply go weak in my knees with one look at an ice cream 😀Infact, I love my sittings with the dentist precisely for this reason! 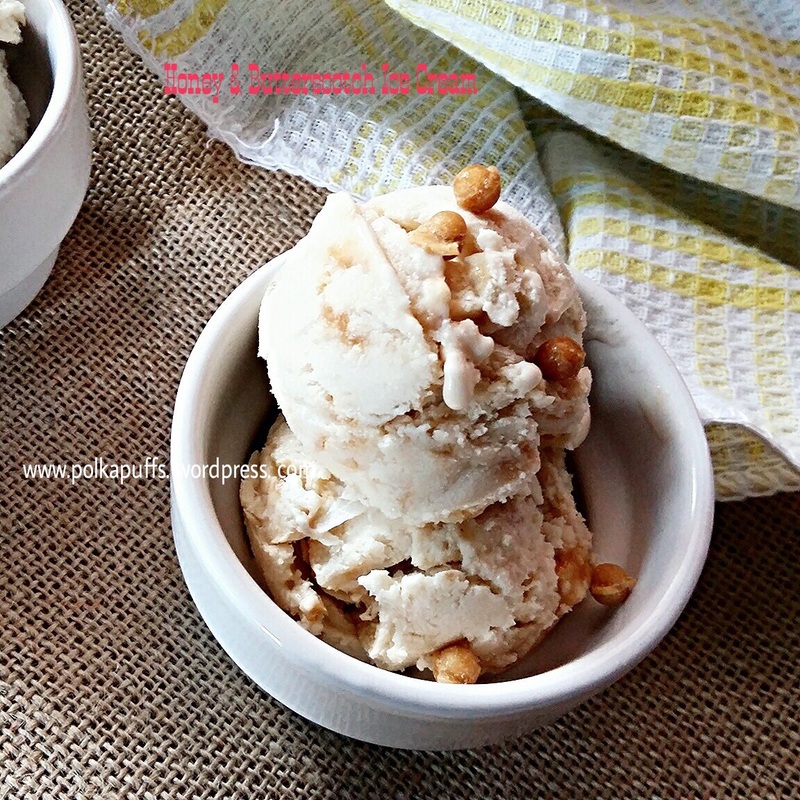 I get ice cream…prescribed by a doctor! 😝😜now who wouldn’t love that..! And as for the flavour, I have chosen something just as bright as the summer sun! 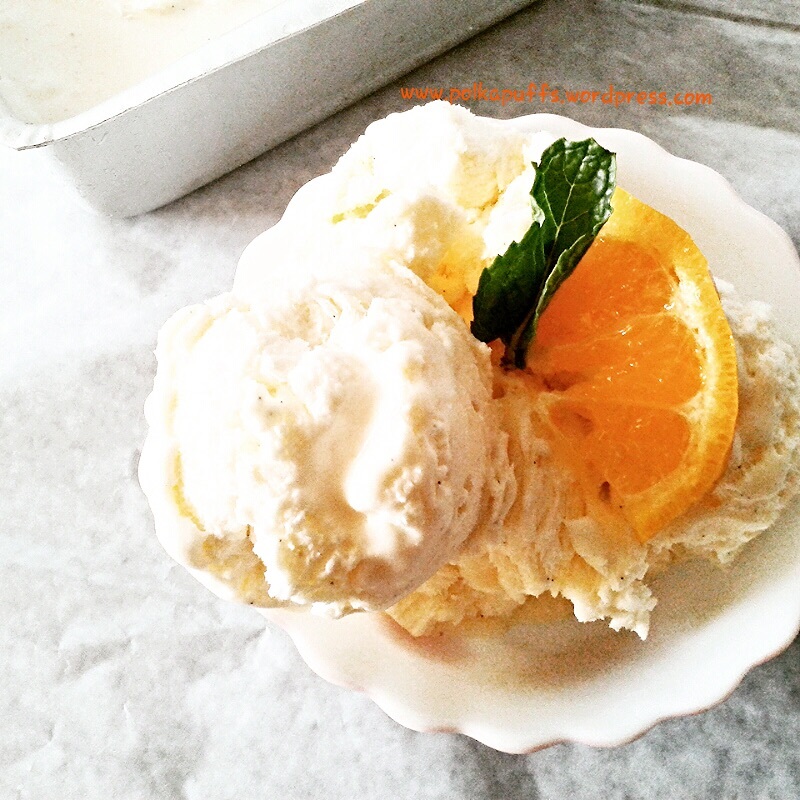 Oranges & lemons… They spell summer with their bright colours and such fresh, citrusy flavours 🍋🍊 along with a hint of vanilla beans added for that earthy, heart warming aroma… I am sure you are salivating! 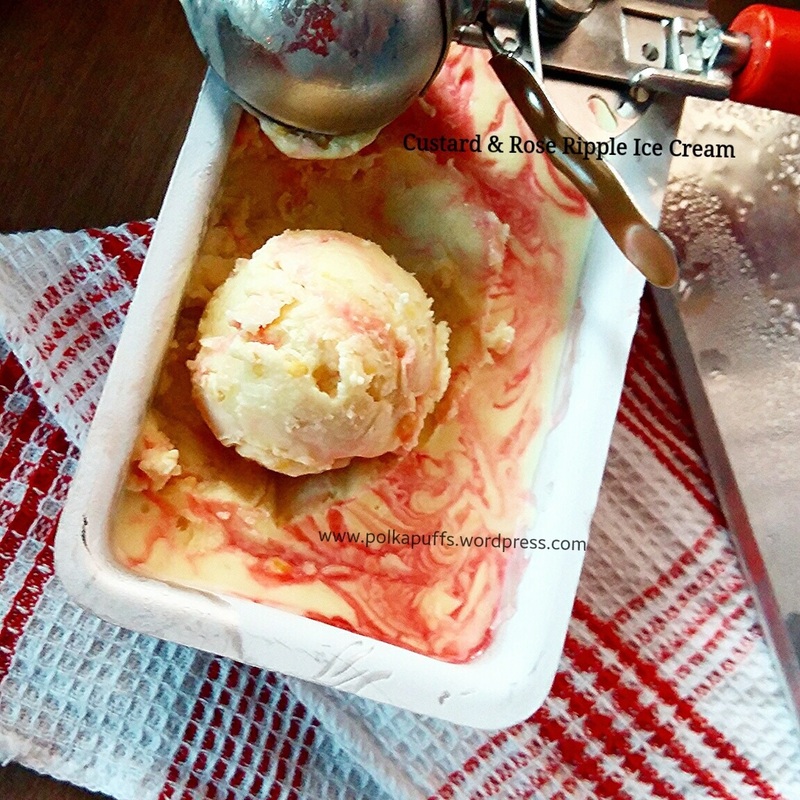 😛 I had made this ice cream last year too, for the first time. And I absolutely fell in love with the taste..its tangy, slightly bitter and of course deliciously creamy! Keep the cream, whipper blade attachment, whipping bowl in the refrigerator for 30 mins prior to actually prepping the ice cream base. Once that’s done, add all the ingredients in the whipping bowl (scrape the vanilla beans out of the pod and add that).